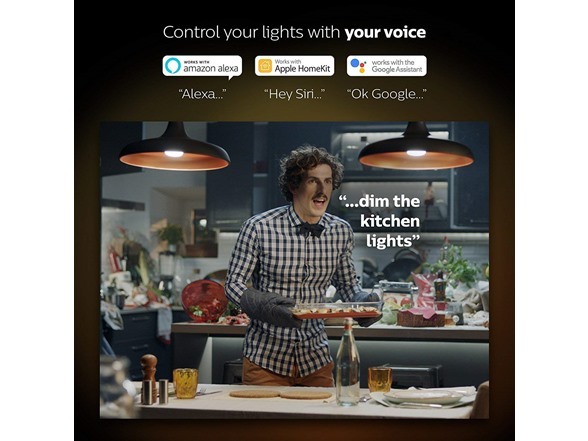 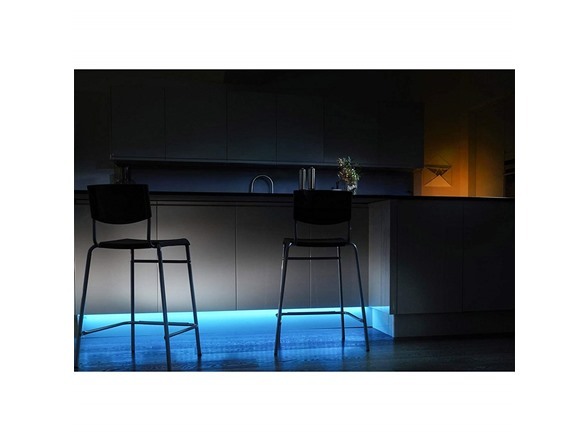 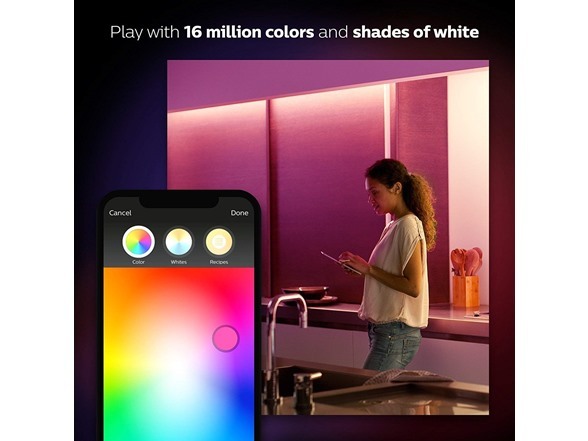 Let Philips Hue enlighten you. 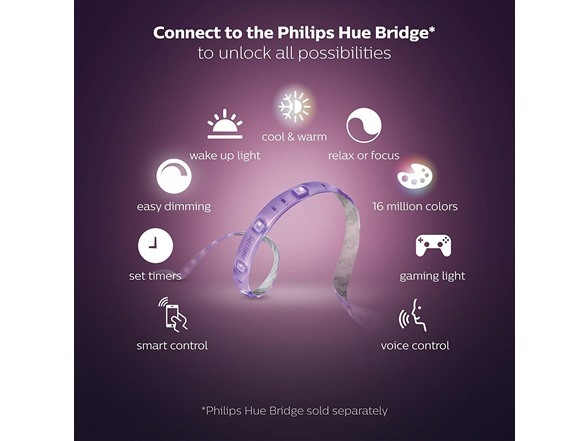 The Philips Hue LightStrip Plus gives you 80 inches of light to you can put anywhere: Under your furniture, along the floor, even on the ceiling. 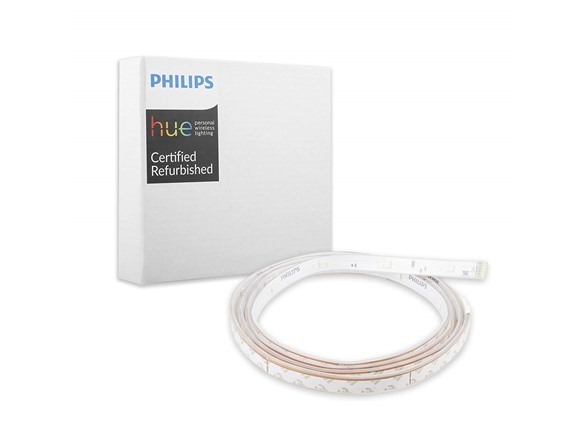 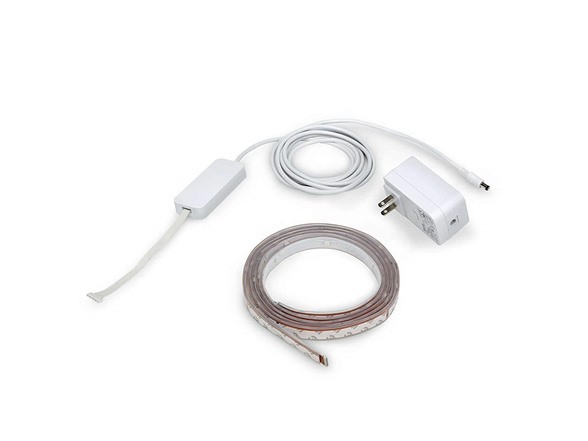 Just install the Hue LightStrip Plus where you want, download the Philips Hue app, sync them with the Hue Bridge (not included) and you'll have complete control of your lamps and lighting fixtures. 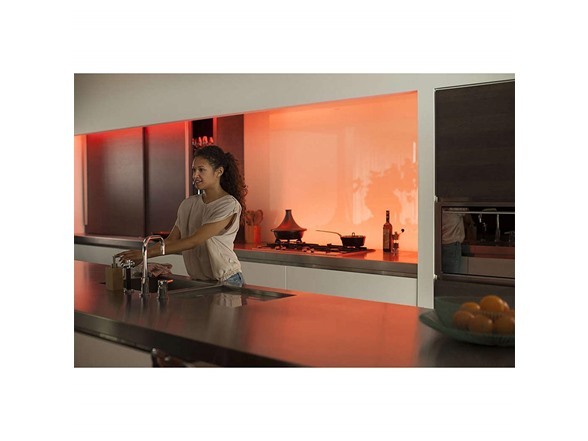 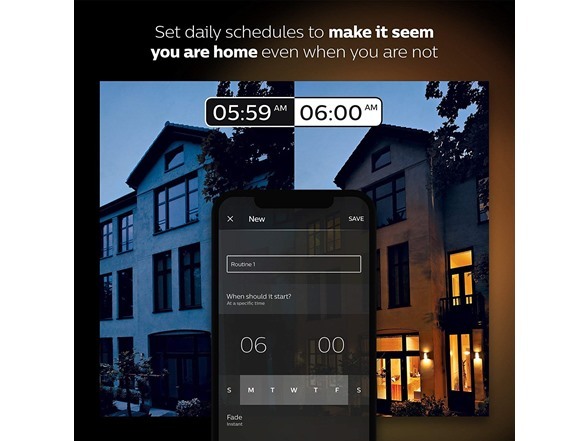 Set your lights to power on with the morning sun, gently waking you or to turn on and off as you leave or arrive home.